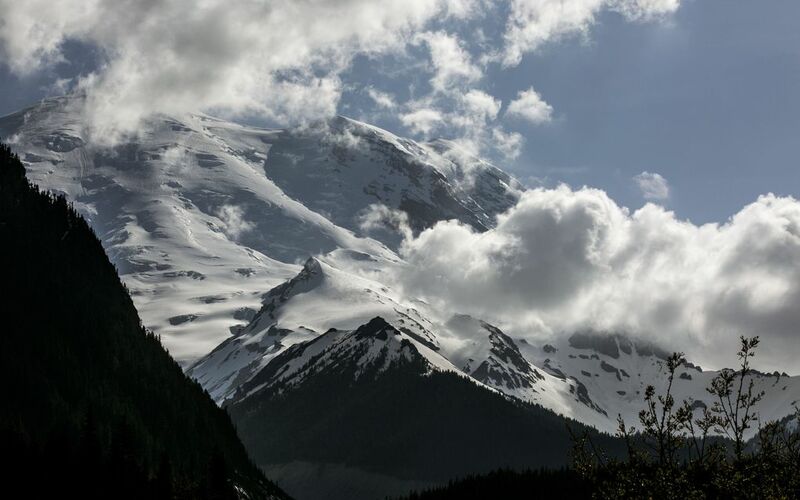 More areas of Mount Rainier National Park are opening this sunny weekend, including some areas opening to visitors earlier than usual because of low snowpack. The road between White River and Sunrise remains closed as snow-removal operations continue and facilities are de-winterized for opening June 5. Under “normal” snow years the Sunrise Road opens by July 4. The Stevens Canyon Road opened Friday to Snow Lake, from the junction with the Nisqually-to-Paradise Road. There is no vehicle access beyond Snow Lake due to road construction to repair slide damage. On the east end of Stevens Canyon, the road is open to the Grove of the Patriarchs. Targeted date for full opening is May 22. Ricksecker Point, below Paradise, is open. Mowich Lake Road is scheduled to open May 22. The Henry M. Jackson Memorial Visitor Center, snack bar and gift shop begins daily operations Saturday, May 2. The visitor center opens at 10 a.m. The National Park Inn at Longmire is open daily providing food service, lodging and a gift shop. Paradise Inn is slated to open for the season on May 20.